I think the first horror book I ever read was Dracula, but the first real memory I have is Pet Semetary. I’m not sure how young I was (maybe 11 or so), but it felt way too young. I’ve never gone back to that book again, but there are key passages that I can still visualize to this day, probably 25 years later. That’s a great question, but its almost too huge to really narrow down. Depending on what day you ask, I’d probably give you a different answer. Instead of trying to represent everything, here’s three of my favorite authors that would give anyone a solid cross section to start with. 1. Any Edgar Allen Poe collection. This covers the classical section, and, he’s still just plain fun to read. 2. Have to include Stephen King here, and you can’t go wrong with Pet Semetary. A perfect setup brought to brutal life, this one definitely helped set me on the course I am today. 3. And, to round it out with a wild card pick, I’m going to say Cormac MacCarthy’s The Road. I know, it’s not strictly horror, but it’s still pretty damn horrific, and it made a deeper mark on me than a lot of pure horror books did. 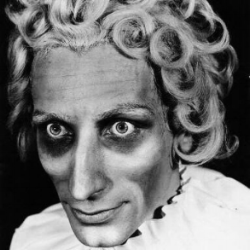 I don’t necessarily have a favorite sub-genre of horror. I’m usually down for anything. I would say I’m partial to a good monster. Any book or short story with a memorable creature is sure to rate high on my list. Fear shows up in different ways. I mentioned The Road earlier, and it’s certainly near the top in terms of pure, gnawing dread. I’d say The Girl Next Door by Jack Ketchum is high on that list, but it’s more of a squirming in your seat, not wanting to see what happens next sort of terror. I’d go with a short collection, and for my money, nothing beats Night Shift. You got some Lovecraftian horror in there (Jerusalem’s Lot), some bittersweet family stuff (Last Rung on the Ladder), and, in my opinion, one of the most disturbing short stories ever…The Boogeyman makes me cringe every time. There are so many that I need to catch up with. I really like Paul Tremblay. Head Full of Ghosts is fantastic, and I’m looking forward to Cabin at the Edge of the World. Josh Malerman’s Bird Box is really great as well. I’d say Shirley Jackson and Richard Matheson. There’s a ton of great choices for the crown, but when I think of my favorite writers, they both show up high on the list. I just read Jaws this year, and I don’t know that I’ll ever see a better adaptation than that. The book was good, but the movie was so laser focused on what the ultimate appeal of the idea is. In my opinion, it would be hard to top that. I’d kill for a hard-R rated, decently budgeted version of Rawhead Rex. Something about that monster has always scared the hell out of me, and with modern effects and CGI, the right director could make that a horrifying movie. Oddly enough, I don’t watch a ton of TV. Walking Dead wasn’t bad, but I drifted away from that a few seasons back. I do have a confession to make…I sort of hate American Horror Story. I’ve tried, multiple times, to get into different seasons of it. Maybe I’ve picked the wrong ones, but it always struck me as a very pretty, very empty show. If you go back far enough, I really enjoyed the anthology shows of the 80’s and 90’s. I was the perfect age for Tales From the Darkside, Tales From the Crypt, and Monsters. I’ve dipped into sci-fi and fantasy a few times, but it almost always has a dark, horror tinge to it. It was long, winding, and mostly boring. Lots of writing, submitting, and waiting. The short version is, I started writing in college. I wrote four “practice” novels before my fifth got picked up by an indie press. 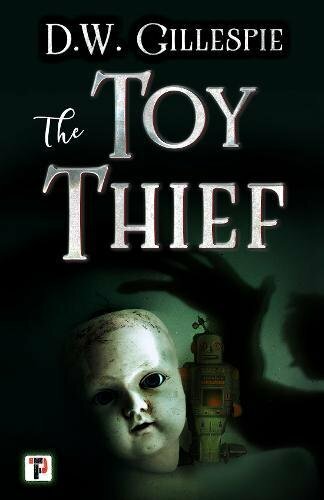 After that, I had short collection published by another indie press before my seventh novel, The Toy Thief, was signed by Flame Tree. Between here and there, were hundreds of rejections, lots of second-guesses and near-misses, which certainly seems like par for the course. Does my wife count? Seriously, my fan base is, hopefully, slowly growing. Knowing the books I have cooking, I’d guess my (theoretical) fan base would be into intimate, character-driven horror. Usually, there would be less gore and more of a focus on monsters, but of course, I’m more than happy to break those rules the first chance I get. Oh, it’s the usual stuff. The gore, the violence, the blood. From the outside, it’s easy to think that’s all the genre is. But the best horror comes from a deeper place. Some of my favorite movies and books of all time are socially conscious works of horror, these dark, messed up stories that have something big to say. Also, I think it’s a genre that is easy to do, but very, very hard to do well. I think it’s already started. You see articles all the time in mainstream press about how movies and books are both in the middle of this big upswell of deep, meaningful horror. I hate giving anyone tips, just because, what the hell do I know? Every single person will have a different path and end up at a different place, which is exactly how it’s supposed to be. The best thing I could say is, just don’t give up on the craft. Keep writing, reading, and editing, and learn to be patient. I think so. Not in a “demons are real” or “the devil is watching you” sort of way. But, there’s a certain line that some people cross that certainly becomes something close to evil. For me, it’s more about whether a person does something that’s irredeemable that puts them in that evil category. I’m always asking myself that question. That’s a big part of my work, just trying to scare myself. I’d say it changes from year to year. Absolutely. It’s huge with my family. My kids are especially obsessed with spooky stuff. It really is my favorite time of the year.